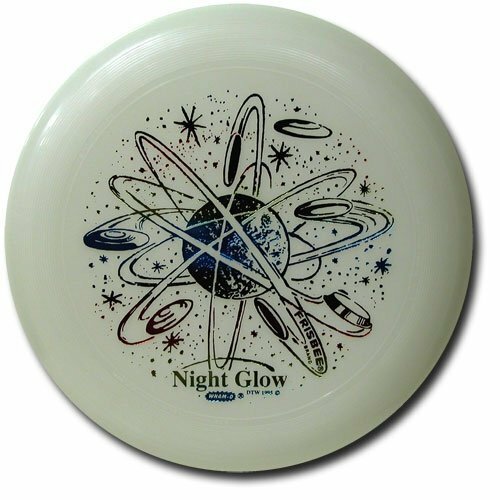 Here is a glow in the dark from the makers of the original Wham-O Frisbee. A full sized flying disc that flies great in all conditions. At 175 grams this disc carries some weight. Fun to throw on a sunny day or the darkest night.